I decided that I wanted to look back at some of the highlights on my blog this year. While looking back, I realized - I had fun!! I really hope that you did too! 1. 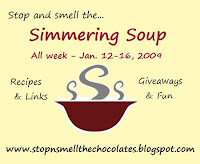 Simmering Soup Week ~ Yum. Yes, I continued my obsession with theme weeks this year. I think the soup week was a hit for the winter. And I managed to work the soup theme into Chocolate Friday by serving up Chocolate Soup! Just click on the pic to look back at some great soup recipes. 2. Vlogging ~ I won a Flip video camera through the blog Real Life and newbaby.com and I started vlogging! Quite fun for my drama queen self! I haven't done that many through the year, but I plan to do more in 2010. You can see some of my vlogs at newbaby.com (I'm Lisablogschocolate over there). 4. Cake Week ~ I love cake. 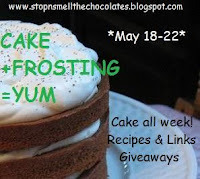 I could probably even stand to have a whole month dedicated to cake - LOL! So many cake recipes, so little time. Another fun week! If you need some delicious cake or cupcake ideas, just click on that pic! 6. 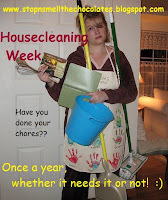 Housecleaning Week ~ "Once a year whether it needs it or not" - heh,heh. :) I did Housecleaning Week while posting as normal. 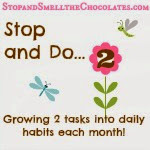 I assigned myself mini-tasks every day and a daily project to be done after regular cleaning. I need to do it again because I never got so many things done in one week before! 7. Fall Fruits Festival ~ A week of delicious Fall fun covering pears, pumpkin, apples, cranberries, and my favorite fruit - chocolate. ;) I thought it was a fun way to celebrate Fall and find some great new recipes. Click the pic for all the yummy recipes! 8. The Nutella Challenge ~ I joined The Nutella Challenge at bell' alimento and then wondered what I had got myself into! I have to come up with a new Nutella recipe each month for a few months. I've come up with 4 so far: Mini Nutella Cheesecakes, Nutella Popcorn, Nutella Bites, and Nutella S'mores Cake. I ran out of time to do one in December, but I will attempt another one in January. This has been great for me as it's my first experience in making up my own recipes - nervewracking! 9. 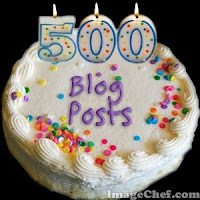 500th Blog Post ~ Another exciting milestone on my blog! Hmmm...can you tell I like any excuse to have a party? LOL! That was an especially fun party because I got to talk about chocri customized chocolate bars and give a couple away! YUM! Celebrating with chocolate is always good! Whether you've just started coming to my blog and these highlights are new to you or you have been along for the whole sweet ride - thank you. I truly appreciate you, my readers! And I like you whether you comment or not (but I just love it when you do comment and say hello!)! I hope you enjoyed this little recap! 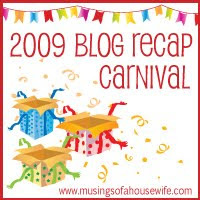 If you hop back over to Musings of a Housewife, you can look at some more blog recaps. 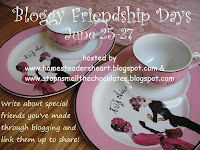 It's a great way to catch up on some lovely blogs! Did you catch my guest post yesterday at The Frugal Girls? I shared New Year's chocolate dessert ideas! But you should also check out some other recipes there, like Cranberry Bliss Bars, and a guest post by Frugal Femina with Candie Cane Brownie Lollipops. Yummy!! Reminder - no Chocolate Friday or even Dessert Friday tomorrow! I plan to just relax and enjoy New Year's Eve and New Year's Day with my family. Have a safe, happy, and blessed New Year! 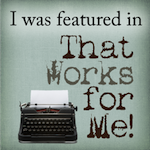 I'm linking this post up to Your Life, Your Blog at Real Life. Link any post from the previous week! Thanks for coming by! Don't miss anything here in 2010 - subscribe now! Hi Lisa! Just stopping by from Jo-Lynne's place. Boy, you have had a busy year! I'm amazed at all you do. I'll bookmark and come back. 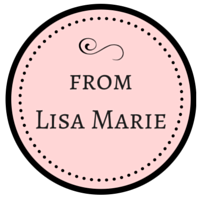 As I am new to your blog - I can't wait to see what the year brings. Happy New Year. Loved your recap my friend. Sorry I'm late. But better late than never huh? I enjoyed all those fun things you did last year. But you know my favorite was our Friendiversary! Big you're starting to pull away from me again and my competitive nature doesn't like it size hugs to you ! LOL! I loved "re-capping" along with you! I went over and watched your Valentines Day Vlog and it made me giggle...I love the way you "scanned the room" to make sure no one was watching you snag that chocolate heart, LOL. Love you! Have a wonderful day with your family!